An increasingly strict focus on American educational achievement and the enforcement of state content standards means that new teachers aren’t just encouraged to specialize an education degree, they’re often required to do so. That might seem like a complex process, but the truth is that today’s university education programs have already been changed to accommodate shifting goals in the classroom and new professional requirements of 21st century educators. In fact, most students can specialize their program in education just by choosing which degree to pursue and which eventual teaching career they’ll be competing for. In a previous era of teacher education, most students simply graduated with a Bachelors of Art or a Bachelors of Science in Education. They could then use this degree as a qualification for state certification exams like the PRAXIS-I and PRAXIS-II series and, if they scored highly enough on those tests, they’d be granted the license needed to apply for open positions and teach in a classroom setting. Today, things have changed in a major way in virtually every state across the country. Programs in both early childhood education and elementary education are all-inclusive, meaning students learn all they need as part of their content core to teach younger students. These degrees focus on things like early childhood psychology, classroom management, child development, cognitive skills, and how to best relate basic concepts to students enrolled in preschool or elementary grades. 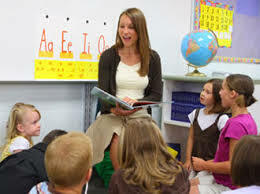 Generally, a specialization in Early Childhood Education qualifies graduates to manage day care facilities, teach Head Start programs, or teach preschool classes for private or public employers. An Elementary Education degree gives students the qualifications they need, pending PRAXIS-based certification, to teach students in Kindergarten through sixth grade in most states. Special education graduates will be qualified for positions as co-teachers and tutors in virtually all subject areas and at all grade levels. The goal of a secondary education program is to give future teachers the skills they need to teach children enrolled in grades seven through twelve. They’ll also learn about classroom management, lesson plan development, and student engagement, in ways that are specific to older and more mature students. More importantly, those who choose a secondary education specialization will commit to being an “expert” in just one content area. After graduation and a passing PRAXIS examination score, they’ll be licensed to teach students only in a given content area. By essentially requiring students to choose a specific college major prior to entering the education industry, states ensure that graduates are more qualified than ever to handle specific types of students or specific content areas. Graduates should be sure to specialize an education degree only in an area that they find interesting, engaging, and worth working in over the long course of their eventual careers.